Puppetry is one of the most ancient forms of theatre, with evidence that it was performed in Ancient Egypt and China. Back then, in the days before film and CGI, puppets were the best way to act out the impossible and bring fantasy to life. Nowadays puppets are generally assumed to be of interest only to children, but in the past they were very much an adult affair, being used for both entertainment and religion, artfully representing figures from history, myth and imagination. In 1982, a performance group called Movingstage set up a puppet theatre on an old barge, and thirty years on the project is still going strong. 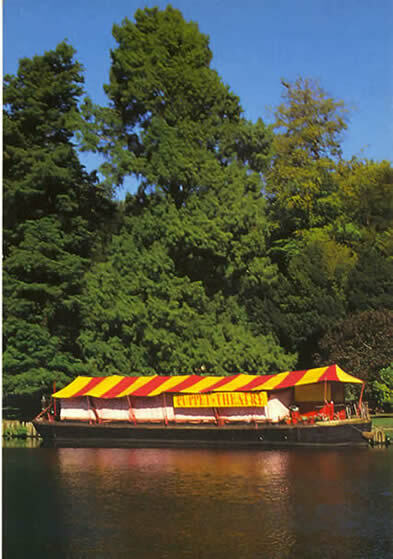 The boat is moored throughout the year on the canal at Little Venice, and spends the summer on the River Thames in Richmond. It is the aim of Movingstage to promote puppetry as an art form, to commission new scripts and scores, and to keep this ancient tradition vibrant, relevant and alive. I visited the Puppet Barge last weekend to see their production of Bottom’s Dream, a performance which is aimed at older children and adults. 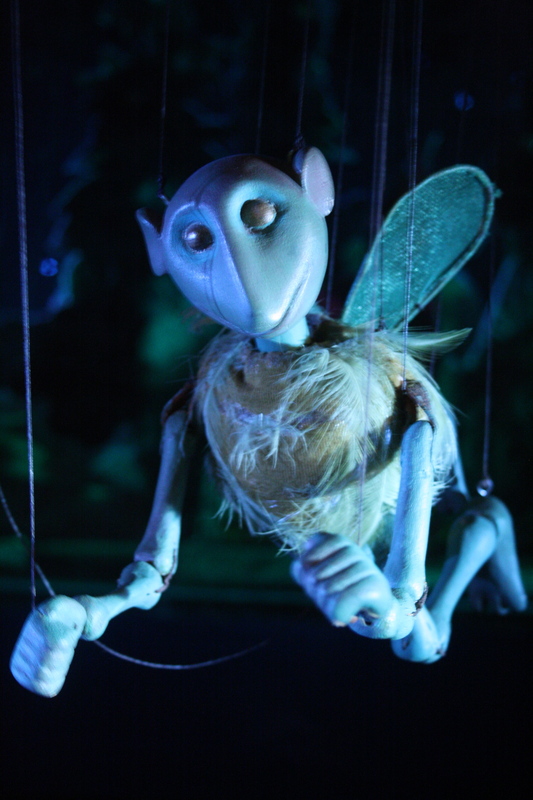 Based on William Shakespeare’s A Midsummer Night’s Dream, the show includes characters both mortal and magical, all of them represented by beautifully made marionettes. Bottom’s Dream is both funny and strange, with glowing orb-like fairies, silly humour and a score which sounds like it is being performed on a 1970s Moog synthesiser. The atmosphere of the barge itself adds a lot to the magic of the occasion; a tiny bar sells tickets, postcards and drinks, and taller audience members like me have to hunch over to fit through the corridor into its tiny auditorium, which sits just 55 and is hung with colourful puppets from around the world. With its rattling ceiling fan and rather fuzzy soundtrack, the Puppet Barge is all pretty ‘lo fi’, but that is all part of its charm. There is no Disney slickness here, instead it is a place oozing with character and buzzing with the passion and enthusiasm of the people who run it. Emerging from its cramped but cute interior onto the moonlit quay outside at the end of the show was almost as magical as the performance itself. 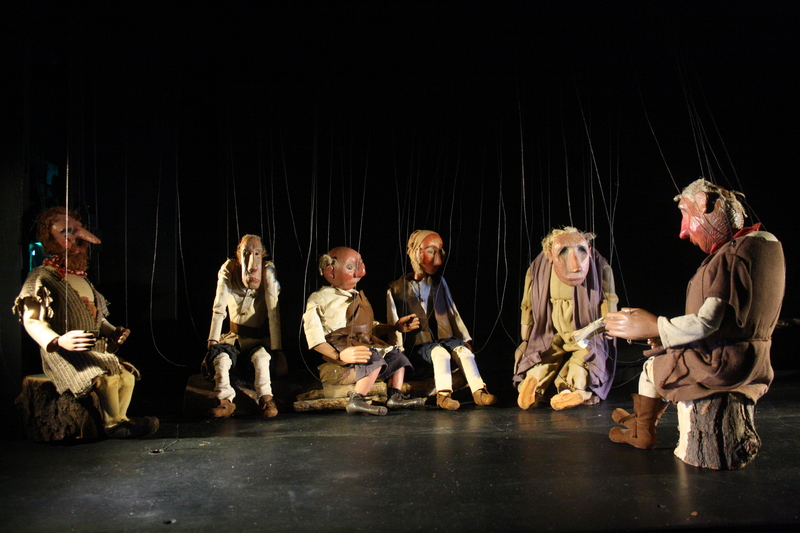 Puppets, it seems, are not just for kids; as Bottom’s Dream demonstrates, they can be used to present pieces of theatre which are poetic and complex. Shows like this certainly require the audience to use their imagination, but for those of us who are more than happy to suspend disbelief for an hour or so, the Puppet Barge offer a tantalising opportunity to indulge in a little slice of pure, unadulterated magic.